This is a reboot of the Spider-Man franchise, tracing Peter Parker's (Andrew Garfield) upbringing from a small child. Feeling his family is endangered because of revelations in his scientific work, Peter's father Richard decides to leave his son to be raised with his Aunt May and Uncle Ben (Martin Sheen). Growing up as a teen, Peter is an intelligent but isolated and bullied high school geek. He is also too shy to try and grab the attention of Gwen Stacy (Emma Stone). Intrigued by a document he finds at home, Peter decides to investigate his father's work, leading back to the scientist Dr. Curt Connors (Rhys Ifans). Connors worked with Richard, preparing a cross species breeding program that is meant to allow people to regrow their limbs like reptiles. When Peter is bitten by a spider in the lab, he obtains incredible feats of strength and agility. Soon after, an argument breaks out at home one night, which sees Uncle Ben searching for Peter, only to be shot dead by a street thug. 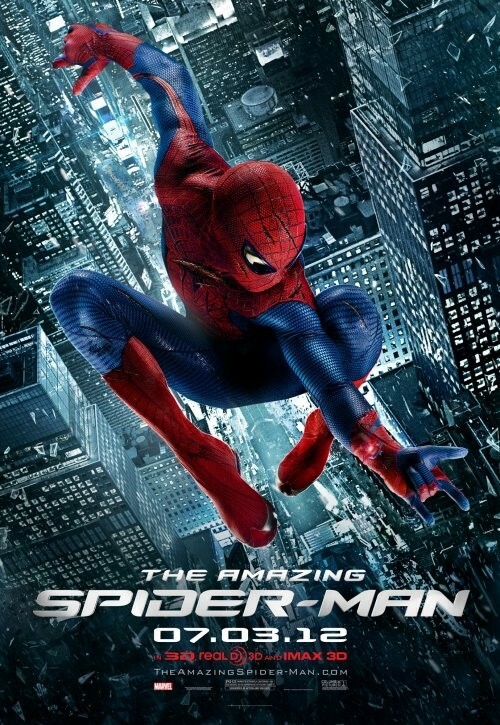 Looking to avenge his uncle's death, Peter uses his new found powers to track down the criminal. Yet he also realises that in between his personal revenge and eventual romance with Gwen, there is a greater threat to the city awaiting him. "We'll meet again, Spider-Man," the Green Goblin once said. 'And again and again,' he should have added. Marvel's most famous superhero dates back to the 1960s and has survived crossing into numerous mediums, from comic books, animated TV shows and several film adaptations. The webslinger's invention by Stan Lee and Steve Ditko coincided with the popularity of the 'teenager' at the time. The comics were designed to appeal to a specific demographic by giving a superhero a set of teenage problems that were relatable to the readers. However, it took an alleged twenty-five years of development trouble, which included a script treatment written by James Cameron at one point, before the first film arrived in 2002. Sam Raimi's films proved to be outstanding adaptations of the comics because he found the balance between the action and the humanity too. All of his characters were ordinary people, fitting their heroics into their ordinary lives, and not the other way around. That's an immensely appealing aspect for anyone easily bored by computer generated fight sequences. Like it or not, Sony have decided to reboot the franchise just a decade since the start of the original trilogy. Raimi was originally meant to make an additional number of sequels but withdrew due to scheduling. Replacing him, Tobey Maguire and Kirsten Dunst, is director Marc Webb and his young cast. Webb emerges from a background in music, directing videos for artists like Miley Cyrus and Green Day. He made his first feature a few years ago with the romantic comedy-drama (500) Days of Summer (2009). I don't have the same admiration for that film as others do and his limited cinematic filmography makes him an unusual choice for a blockbuster. With a relatively inexperienced film director, Sony has opted to take the safe route as far as a reboot is concerned. The film is not as great or as radical a reimagining as Casino Royale (2006) and Batman Begins (2005) were to their respective franchises. This is because it does not stray heavily from the trajectory of the '02 film. It presents familiar events with a darker tone, running into a few bumps along the way, but successfully introducing a handful of attractive new elements. The craft of the film alone is superb: the action is excitingly staged and the story is told with great confidence. Yet at 136 minutes the film is overlong and opens with a problematic first half. The tone shifts sometimes jarringly between melancholy, dwelling on Peter's isolation from his parents, and the slapstick transformation into the webhead. It also takes close to an hour into the film for Peter to don the suit properly, which means that some key plot points, including Uncle Ben's fate, are visible but longingly withheld. Yet once the film establishes itself it allows for a funny and entertaining payoff. In spite of much of its predictability, a significant factor in the enjoyment of the film is the new relationship between Gwen and Peter. In the comics Gwen Stacy, who predates Mary Jane Watson as a love interest, didn't actually meet Peter till he was in college. Webb has chosen to bring her arc in early to freshen up the story. It's a masterstroke. The chemistry between the leads, courtesy of Emma Stone's infectious energy levels and boundless charisma, is warm and very satisfying. Is there a more charming young talent in Hollywood at the moment? Her presence is faultless. Garfield grows steadily into the film because at first he really is a teenager: not much of a talker and slightly difficult to embrace. But when he transforms into Spidey he's funny and playful with the role and that's much more enjoyable to watch. Additionally, Martin Sheen gives his experience and class to Uncle Ben and Rhys Ifans has access to a rounded villain too, one who is interested in genetic engineering, which adds touches of science and moral questions about genetic engineering against natural evolution. Is the film a necessary inclusion though? Not really. Those who haven't watched the original films will find it most engaging but it is still well-made, convincingly acted and fun. I just hope that the inevitable sequel has a few more surprises.